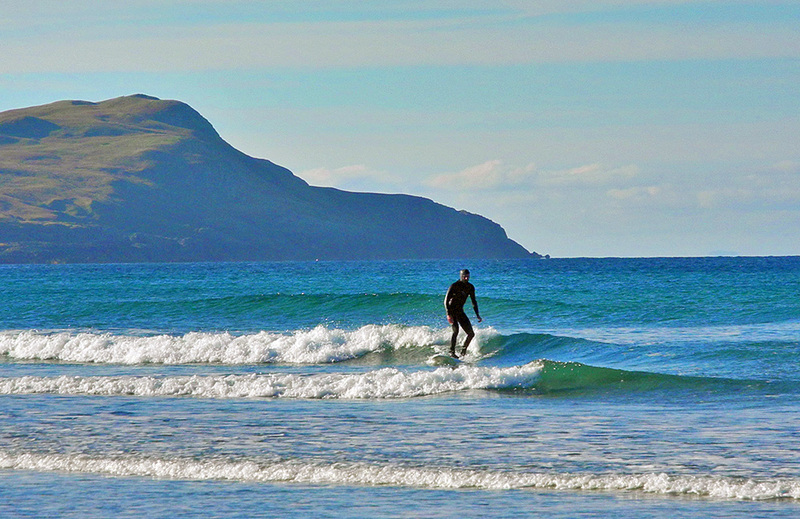 The waves weren’t very big on the day I watched this surfer in Machir Bay, but he still had a go and got a few nice runs in. Some beautiful light in the Islay autumn sun. 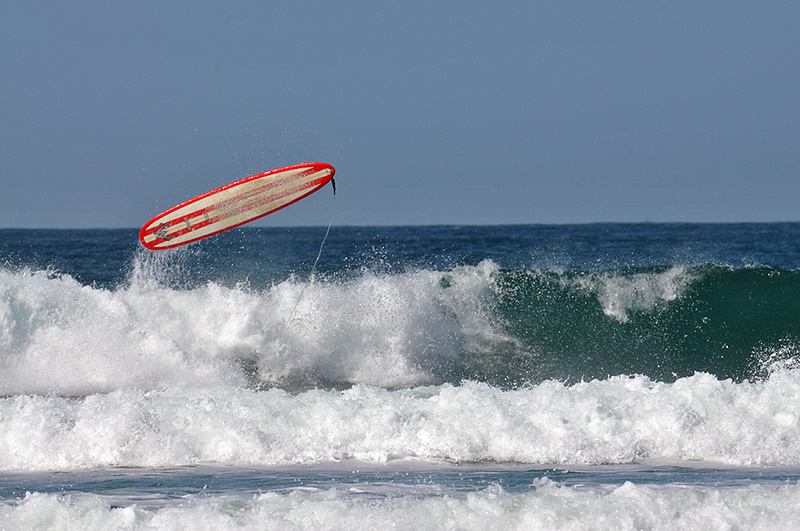 Surfers sometimes do fall off their surfboards. 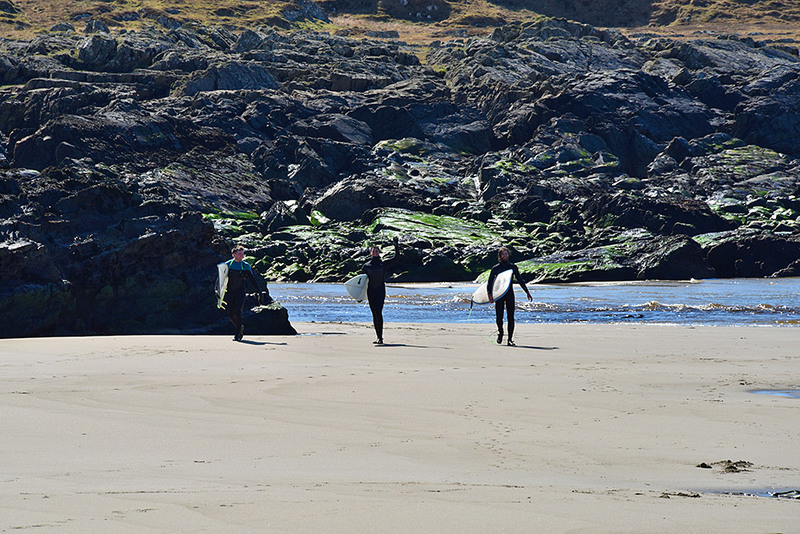 In some cases the surfboard is dramatically launched into the air like this one in Machir Bay on the west coast of Islay.